This includes expanding the use of the Peking source of resistance which is currently used only in about 5 percent of commercial soybean varieties, identifying entirely new sources of SCN resistance, and stacking multiple sources of resistance in the same variety. The ultimate goal is to identify alternative resistance genes and gene combinations that, when used in rotation, will reduce SCN population densities and slow selection pressure on SCN to adapt. The good news is: University researchers are discovering, stacking and testing new resistance genes. Mitchum adds that companies should be able to work with the G. soja stack on PI 88788 fairly easily, “because the base germplasm has PI 88788. 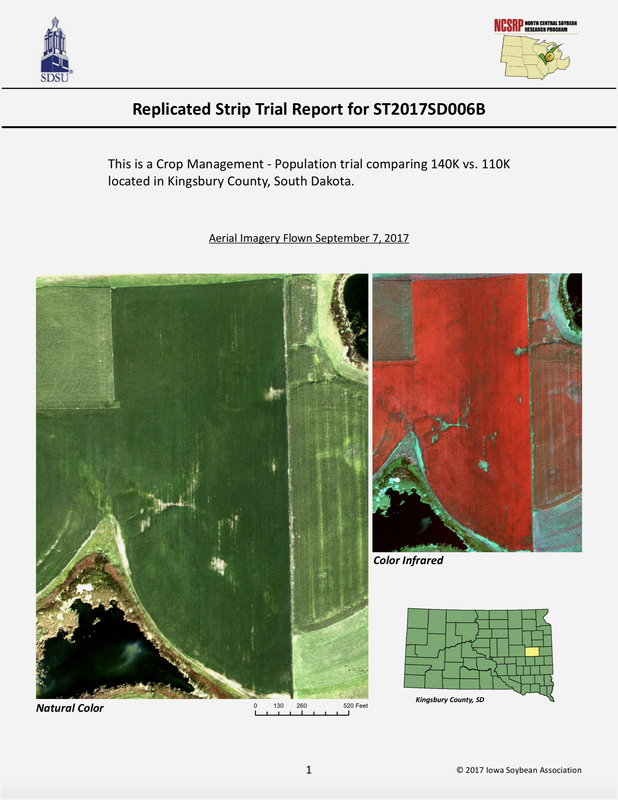 They won’t have to redo what’s in their pipeline.” Her next step is moving the rotation study from the greenhouse to field trials in three states. The SCN Coalition is a public/checkoff/private partnership formed to increase the number of farmers who are actively managing SCN. 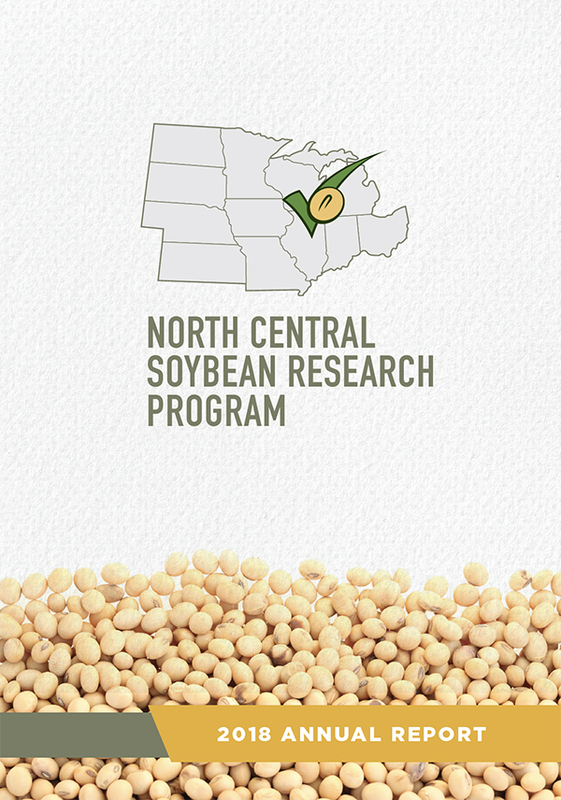 Our goal is to increase soybean farmers’ profit potential and realize higher yields. Partners in The SCN Coalition include university scientists from 28 states and Ontario, grower checkoff organizations including the North Central Soybean Research Program, United Soybean Board and several state soybean promotion boards, and corporate partners including BASF, Bayer, Growmark, Pioneer, Syngenta and Winfield United. 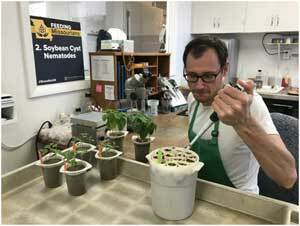 Research Specialist Clinton Meinhardt inoculating soybean plants for SCN resistance screening in the Mitchum Lab at the University of Missouri. Visit www.TheSCNcoalition.com for state/provincial-specific SCN management recommendations and resources from local SCN and soybean experts, contact information for public and private SCN testing labs, and links to SCN management tools and technologies available from SCN Coalition partners. Soybean Cyst Nematode Field Guide, 2nd edition, Iowa State University. Order a print edition from ISU Extension.Online Store. Distribution of the soybean cyst nematode, Heterodera glycines, in the United States and Canada: 1954 to 2017. Plant Health Progress, 2017. Increase in Soybean Cyst Nematode Virulence and Reproduction on Resistant Soybean Varieties in Iowa From 2001 to 2015 and the Effects on Soybean Yields - Plant Health Progress, 2017.